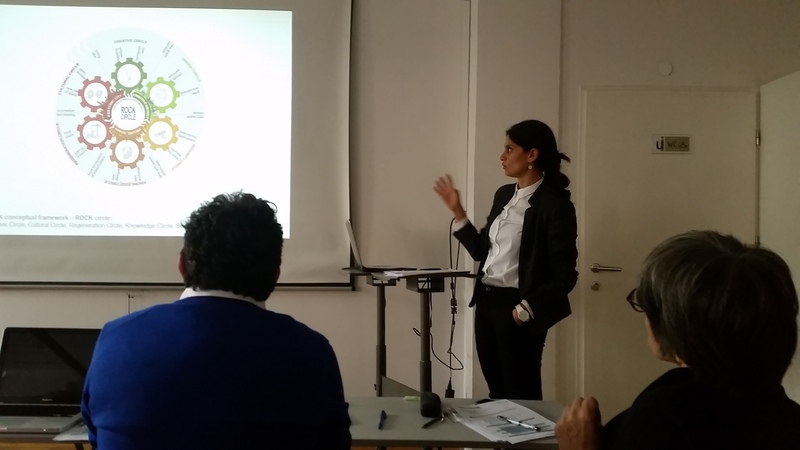 The main concept, goals, objectives, elements and actions of ROCK Project in role model and replicator cities was presented during the COST TU1306 Action Cyberparks meeting held in Ljubljana, Slovenia at September 25th, 2017. 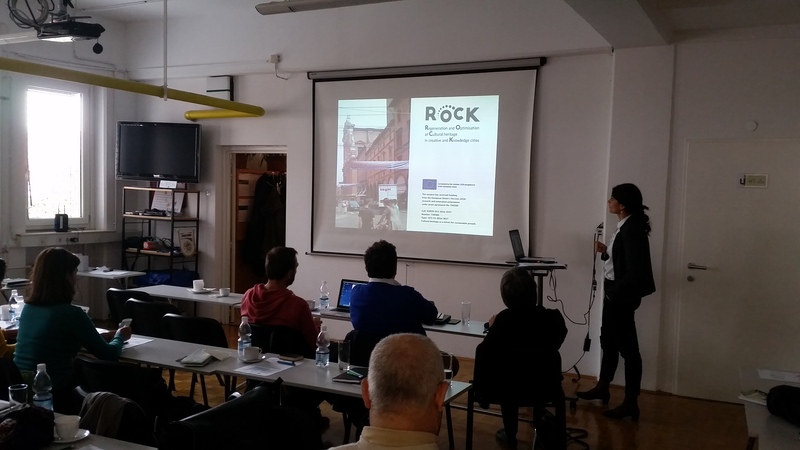 Prof. Ana Ivanovska Deskova, member of ROCK team from UKIM in Skopje presented the state of the art of the cultural heritage protection and challenges in contemporary cities and the scope and objective of the Horizon 2020 funded ROCK Project. The main focus was at the structure of the network, planned actions and expected results. Prof. Ivanovska Deskova emphasised the importance of the ecosystem of local stakeholders and an innovative approach toward regeneration of cities based on knowledge based reuse of cultural heritage as a driver of new urban economy. Members of the COST TU1306 Action Cyberparks has demonstrated high level of interest in future activities of ROCK project network and future actions in replicator cities. The exchange of knowledge and utilizing the existing experience of use of ICT in digitally enhanced public space from the COST Action has been recognized as a great potential for future cooperation and potential enrichment of both networks.